Det Insp Phil Jackson led a team of detectives involved in an 18-month operation targeting drug dealers running 'ring and bring' phonelines in Leeds. Drug deals taking place outside schools and community centres, ambulances being called out for users overdosing on laced heroin and drive-by shootings in broad daylight. This was part and parcel of daily life in some Leeds communities in the spring and summer of 2016 as detectives began work on what would become a landmark operation to tackle the gangs behind dozens of ‘ring and bring’ drugs phonelines. The release of a key gang member in the February of that year had brought an almost instant increase in violence between two rival organised crime groups, which would ultimately culminate in the fatal shooting of Raheem Wilks at a barbershop in Harehills in early 2017. But when Operation Azureway began in April 2016, the 12-strong team tackling serious organised crime in Leeds were focused on the impact drugs were having in Little London. Initial investigations quickly revealed a much more extensive problem, with 20 or 30 dedicated phonelines in that area alone and growing evidence of links to gang activity and widespread drug dealing taking place in Chapeltown and Harehills. Detective Inspector Phil Jackson, who heads up Leeds District CID’s serious organised crime unit, said: “Children, parents and others members of the community were coming across discarded needles and witnessing drug dealing in open spaces during a point where it was looking like nothing was being done. Because of that, the gang activity was increasing. With the sign-off from an assistant chief constable, three undercover officers were assigned to join the CID team. Posing as addicts, they called phonelines advertised under names such as Paranoid Pete and YSL in order to gather detailed evidence about not only street level dealers but also those higher up the chain. Some people connected to the illegal activity were spotted just once by the team, but many were involved in four or five deals each over the months. The team of detectives then had to investigate each of those 153 people to find out who they were, what their role was and how they fit into the hierarchy of the gangs, one of which went by the name The Flock. Det Insp Jackson said: “We managed to identify, arrest and convict very embedded offenders that had been causing a lot of harm for number of years. The Azureway team was granted 300 search warrants and arrested 125 people for drugs and firearms offences during four arrests phases. Just one arrest warrant remains outstanding for a man who was overseas and has yet to return to the UK after being tipped off about raids which had taken place. The National Crime Agency is currently making its own inquiries with international authorities to ensure he is brought to justice. 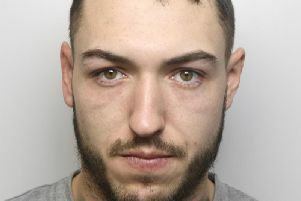 More than 80 people have been taken through the courts and two more are due to be sentenced, with a total of more than 200 years in prison time handed down to date. And all but one of those offenders pleaded guilty due to the weight of evidence against them, with the remaining man found guilty at trial and receiving a longer sentence as a result. Just as important though to police is the change that getting these people off the streets has brought about in areas of the city such as Chapeltown. “I think this had a very good impact on the policing within the area, the trust issues that had developed over time,” Det Insp Jackson said. Anyone with information about drug dealing in their neighbourhood is urged to call Crimestoppers in confidence on 0800 555 111.